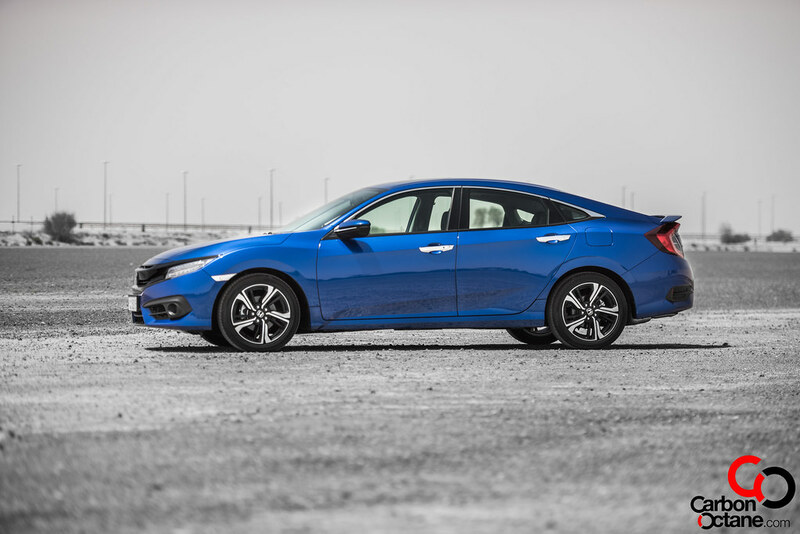 A lot rides on the Honda Civic, and it has been for decades. This little, well not so small these days, were the essential choice for anyone who just passed one of the most important lessons in life, that is getting one’s own driver’s license. A license that basically changed lives and gave freedom in a level which was not experienced before. 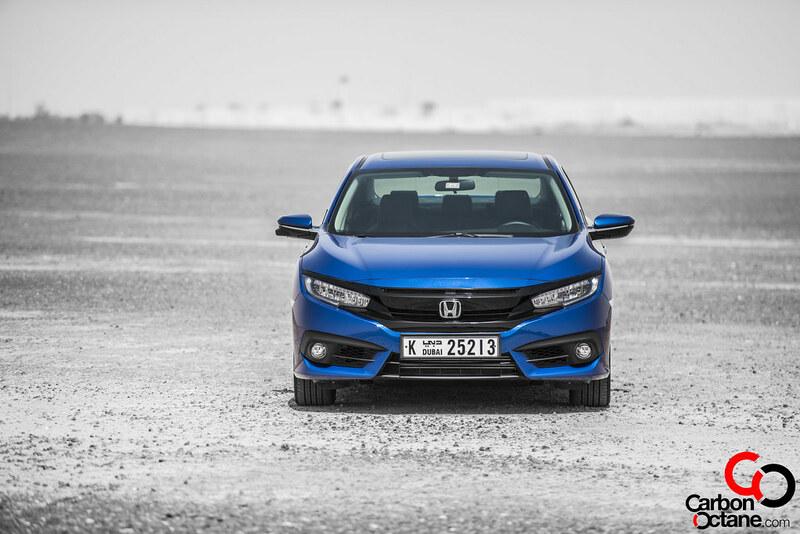 The Honda Civic had been the first choice, it was for me, and my first car was a 1995 Civic Si Coupe. That was the 5th generation since the Civic’s original launch back in the days and it was a car that drove me to places and explored the varied countryside of Canada including a drive to LA packed with luggage and three friends without breaking a sweat. Other than oil changes there was nothing else the Civic needed, such a well-built machine. So what has changed you say? Quite a lot from the looks of things. First of all, this is the 10th generation of the Civic, a true testament of what this vehicles means to its millions of owners since birth. It does look bigger than before and now comes with a fast-back design that is a break from its tradition along with a CVT transmission. The Civic has always been the definition of reliability and enjoys a cult following for modders around the globe. We loved it when the VTEC kicked in, changing the cam timing profile was like having a turbo and the rush to all us novices was a sense of utter pleasure. All these have changed now, since the CVT transmission totally eliminates the feel of the VTEC. Is it a good thing? There are two ways about it, to the die-hard VTEC fans, the lack of push in the higher rpm would be a sad departure from the Civics of a by-gone era but for those who have not experienced what we had won’t miss it. 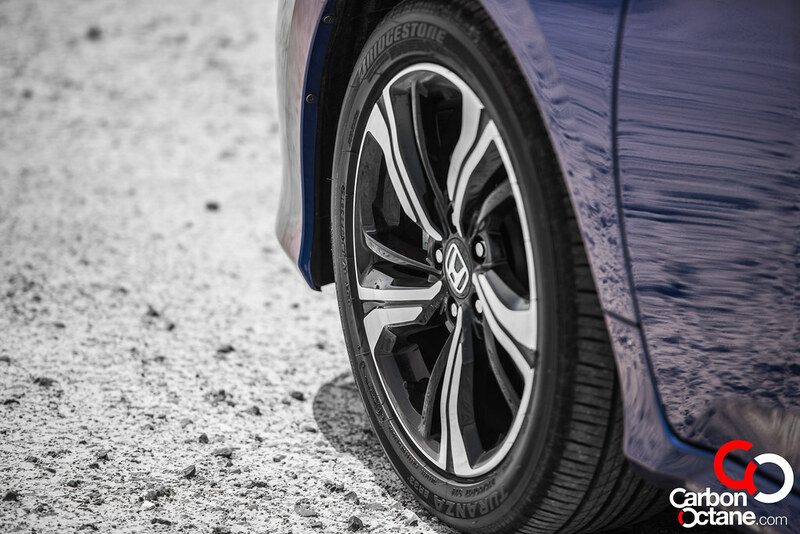 The CVT ensures that there is push from the get go, and provides a linear stream of power that does not comes in steps. We tested both models, one with a 2.0L naturally aspirated four banger while the RS models features a new 1.5L turbocharged power-plant. 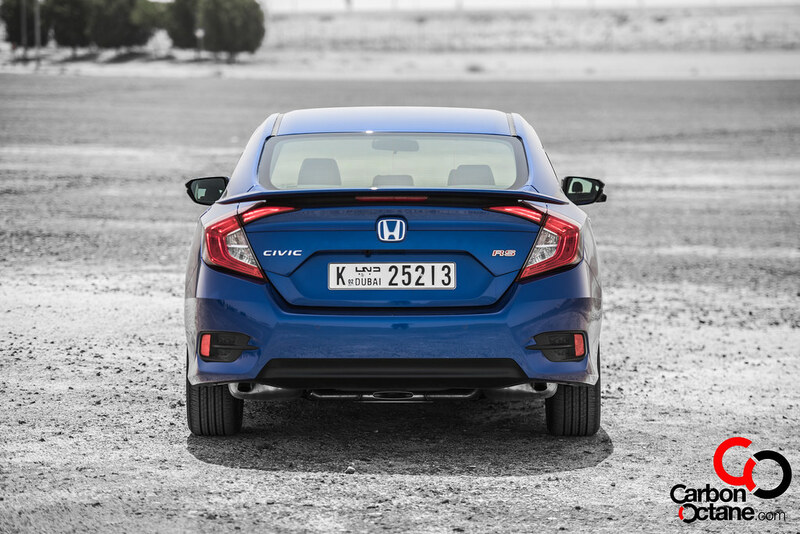 The 2.0L replaces the previous 1.8L and produces 158hp at 6500rpm while weighing less and comes with reduced internal friction thanks to the use of advanced material which the Honda technicians have developed under great secrecy. The 1.5L turbo-charged engine has an extra oomph and now produces 180hp, that’s basically what you’d get in a Camry, Accord or the Altima these days. 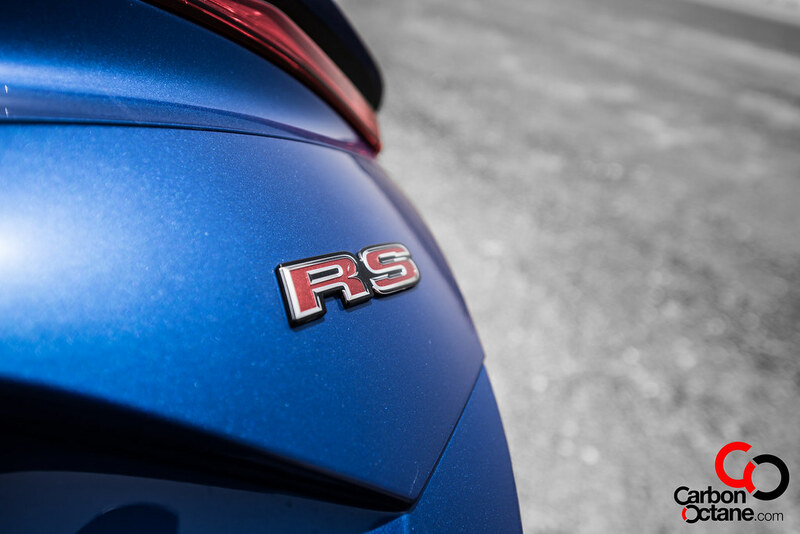 The RS comes with leather interior, paddle shifters and navigation which are not available on the 2.0L variant and costs AED 95,000 as compared to AED 78,900 for the 2.0L option. We did get a better mileage on the RS but both were quite impressive at clocking mid 7’s L/100kms from its 48L fuel tank capacity. Visually the RS comes with blacked out front grill and rear boot spoiler and bigger rims, but in terms of ride quality both are similar. Yes there is a bit of oomp in pickup for the RS but you really need to be driving both the variants back to back to feel the subtle difference. The geometry of it’s front end has been heavy revised and provides for a brisk turn in and this does feel good when ones foot feels heavy on the gas. You can have fun with the new Civic but it’s a different type of fun. 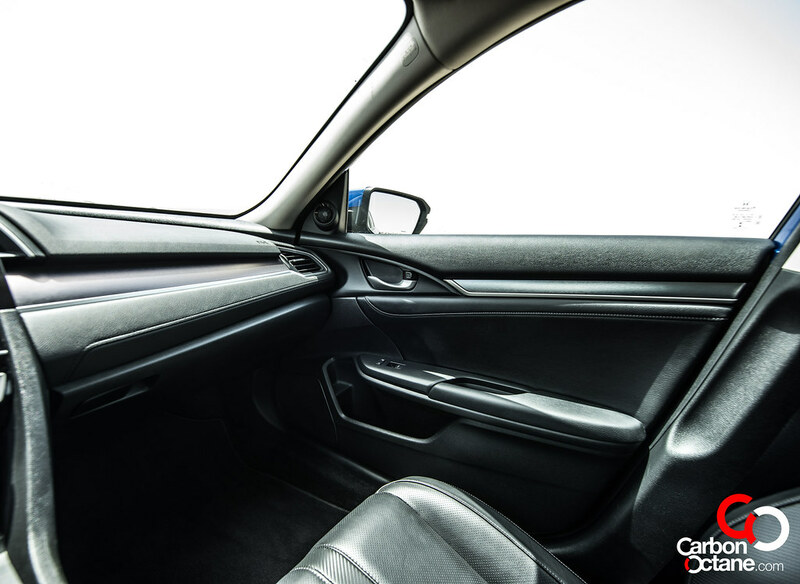 The Civic has become more polished, the interior is better built and looks rather European and has interesting accents that departs away from previous generations. It is roomy and well equipped in handling 4 adults on long trips. There is one extra feature which would be greatly appreciated by us who lives in the Middle East. 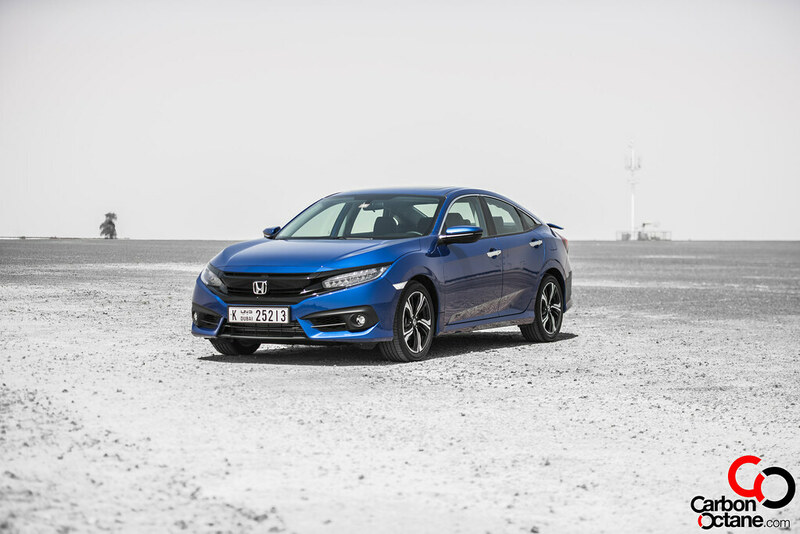 All new Civics now comes with remote start, which means that you don’t need to be in the car and experience the heat. Let it cool down the interior for you before you enter it. 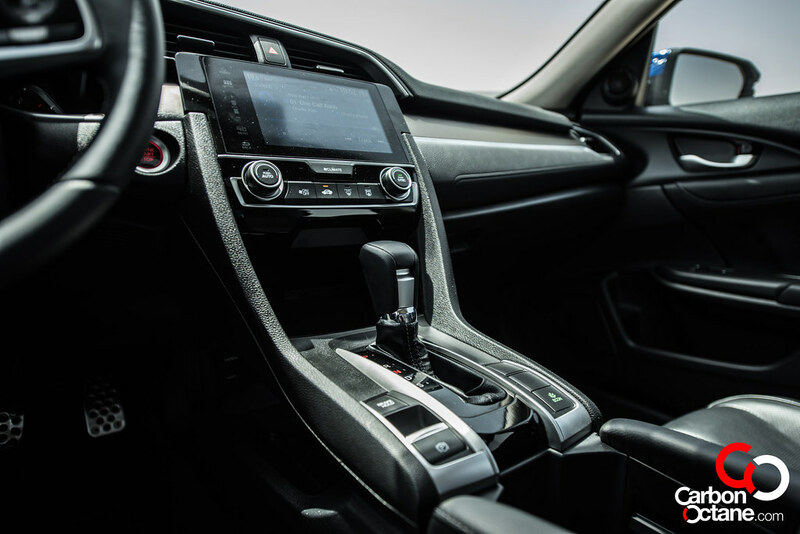 This option can be found in cars which costs much more and is an option that has not yet been filtered into all manufacturers as a standard yet. Small conveniences such as this does make one appreciate the Civic and what it means to its clients. 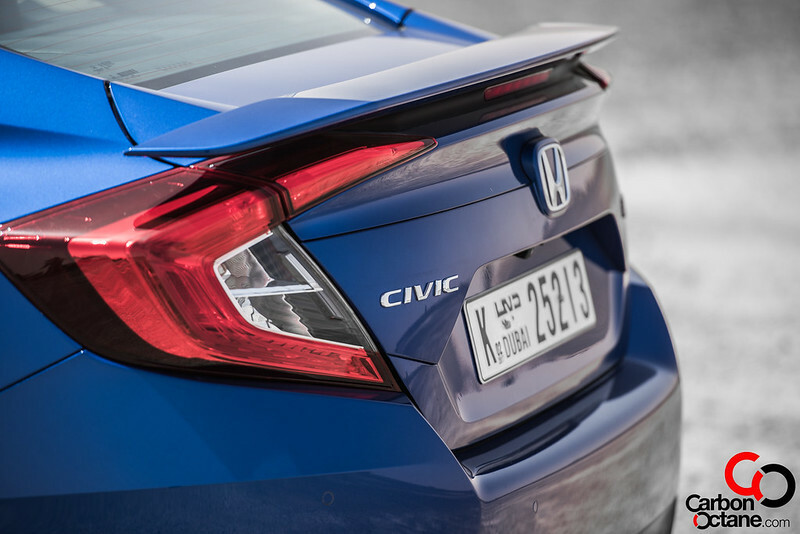 So what’s our take on the new Civic? When you compare it against a heavy weight seller such as the Corolla, the Civic does have a few goodies under its belt. Remote start for example, a better looking car inside and out in our honest opinion and the ride feel, these are the aspects which are commonly looked after by new buyers. Reliability is another and we all know about Honda’s practically over-engineering the engine and making it bulletproof. But it all comes down to small details, good lines, great driving feel that wins us over. We love the 2.0L, yes it is different from before and is calmer than my first Civic but I guess cars have matured these days and are catered towards the millennium children.